Home Best Jumping Media Press Release Julien Epaillard always fast wins the €25,125 NFR Trophy at Hamburg. Julien Epaillard always fast wins the €25,125 NFR Trophy at Hamburg. The first class of 2017 Longines Global Champions Tour of Hamburg was won by French rider Julien Epaillard, during the dispute of €25,125 NFR Trophy at a height of 1.45m in double phase. The course designed by German Frank Rothenberger was attended by 52 pairs, where Julien Epaillard accompanied by 13-year-old gelding Quatrin de la Roque LM (Quick Star x Kannan), showed their good speed to stop the clock at 24.45 seconds and secure 50 World Ranking points. For second place Dutch rider Harrie Smolders could not keep the distance to the winner, who at final dropped from first place, after marking a time of 26.14 seconds in his round with 13-year-old gelding Zinius (Nabab de Reve x Kannan). For Latino and Pan American Ranking had a great performance Brazilian rider Yuri Mansur, seizing third place with 13-year-old stallion Unita Ask (Corrado I x Caretino) in time of 27.36 seconds, which added 40 World Ranking points. Not too distant Audrey Coulter from United State take fourth place with Cas 2 (Indoctro x Numero Uno) a 10-year-old gelding registering a time of 27.49 seconds. For other hand the other Brazilian rider Eduardo Menezes finished in 27.95 seconds, to occupy sixth place next to 11-year-old gelding Sunshine (Diamant de Semilly x Hardi), while it did not run with the same luck Emanuel Andrade of Venezuela, who had to complete only the first phase by knocking down two rails and totaling 8 fouls with 10-year-old gelding Boy IV (Sandor Boy x Lansing) in 48th position. Other American rides who take FEI Ranking points was Emma Heise in 7th place, Laura Kraut was 9th and Paris Sellon in 14th place. In a folded class of big stars and best riders in the world, the best seeded Christian Ahlmann of Germany, World No. 5 and former World No. 1, did not make much of his pace in first phase, exceeding the time allowed and finishes in 35th position. Previous articleEugenio Garza unbeatable at $25,000 Under 25 Grand Prix. 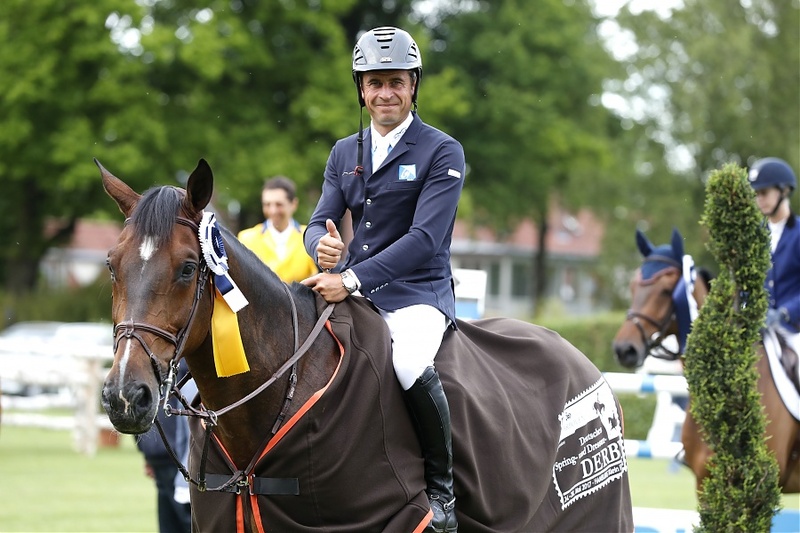 Next articleDenis Lynch leads the €118,200 Mercedes-Benz Championat of Hamburg.